Prep the wings: Place the wings on a baking sheet and season both sides with salt and pepper. Pour the flour in a paper bag or large bowl and toss the wings in the flour in batches, then place on a wire rack set inside a baking sheet or on the counter. Rest for at least 30 minutes to get to room temperature, and up to 2 hours. Make the sauce: In a small pot over medium heat, combine the peanut butter, Sriracha, soy sauce, jelly and coconut cream. Slowly whisk in the hot water to loosen the mixture. Bring the sauce to a simmer, then whisk as it thickens, about 5 minutes. 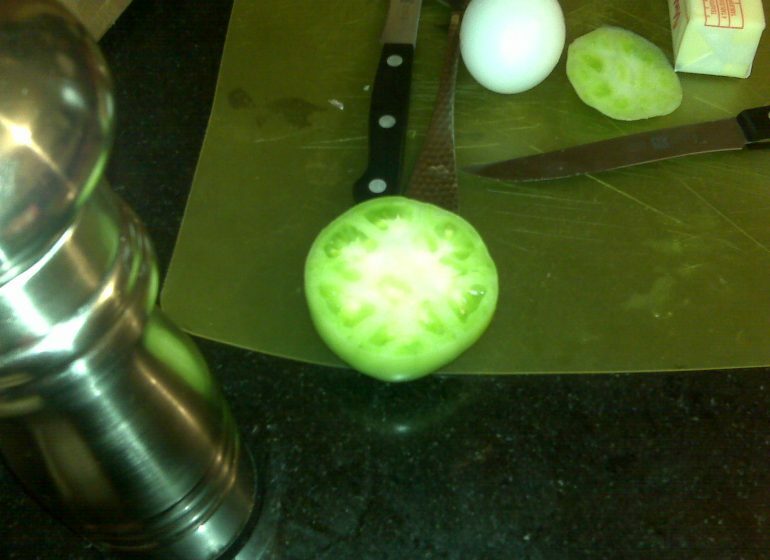 Taste and season with a pinch of salt, if needed, and a few grinds of black pepper. Fry the wings: In a Dutch oven, large pot or fryer, pour enough oil to deep-fry wings, about 6 inches. Heat oil to 360°F. When you add your wings, the temperature will settle at 350°F. Try to keep it there by adjusting the heat. Fry the wings in batches until golden brown, 12-14 minutes. Drain on paper towels. Sauce and garnish the wings: Place some of the sauce in a large bowl and toss the wings in batches, adding more sauce to thoroughly coat. Place wings on a serving tray and sprinkle with chopped peanuts. Serve warm. 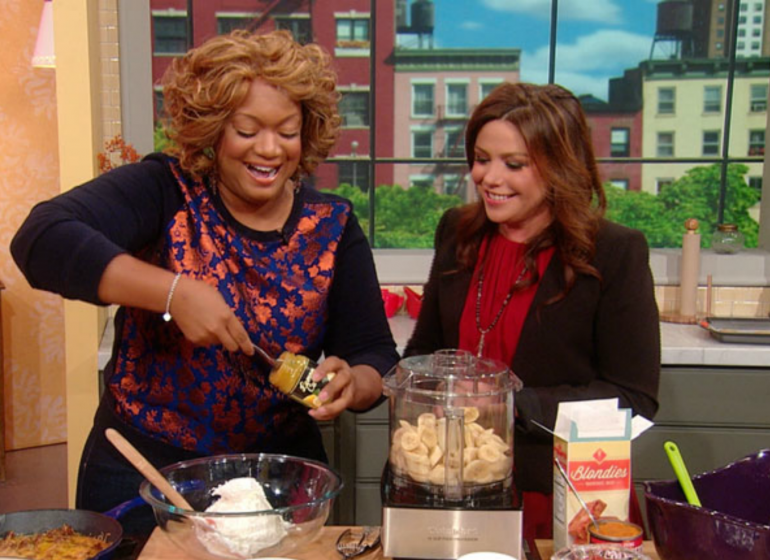 Watch: Sunny joins the First Lady and Rachael Ray for the “Let’s Move Cafeteria Cook-Off”! Sunny’s got your whole week’s meals mapped out on The Today Show!